I hear this month is going to be the coldest so I am bracing for the worst... good thing I stocked up of Abercrombie's winter clearance sale LOL XD p.s they are still going on if you are interested! well I hope everyone stay warm!!! LOL XD that cold? unbelievable. well, at least.....the north pole would still win hands down hahaha. Since I mostly grew up here in California, I guess I would like to see what it's like to live in a place that has snow because I think snow is sooo pretty ^.^!! Hee x2! But I can't wait to see your new creations to come!! ^-^ Hopefully I'll see more lacey cute pouches! =) Thanks Eki! And guess what??! I shopped through A&F when their winter sale started and got myself 5 sweaters =)! Of course, I definitely don't need it as much as you do right now, but... heh heh, they're nice to have =D! Stay warm girl! I just left Min today and so glad to be back in LA!! I had like 4 layers on plus a coat when I left and I was still cold but once I landed just 1 layer of long sleeve was too hot for me! Brrr....just looking at the pics gives me the chills. Stay bundled up and warm, Eki! Uhm you haven't been to Moorhead, MN then! & it's -20 here with 4 feet of snow. i live in boring old maryland where even the weather is dull... so i can't say it's that cold here! hopefully it'll warm up! OMG!! 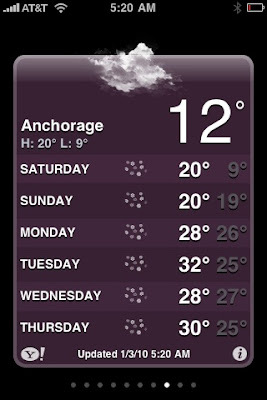 this is why i told my husband that i cannot live up north!! Even here in GA it's cold!!! 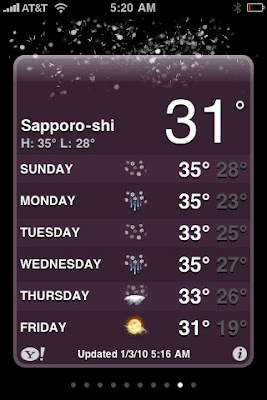 T_T And it's only like 40ish! keep warm!! LOL EKI! Stay warm and healthy now! :) I'd rather it be cold though, cuz you can always bundle up till you get warm. It's been so hot & muggy down here!! LOL! Grass is always greener right?! Welcome to January in MN! LOL! 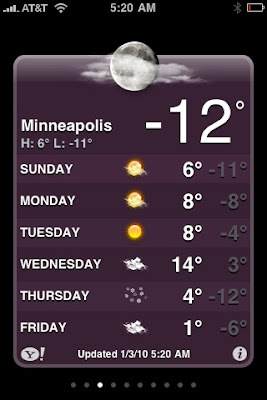 Sorry I have lived in MN all of my life so it feels like a normal January. 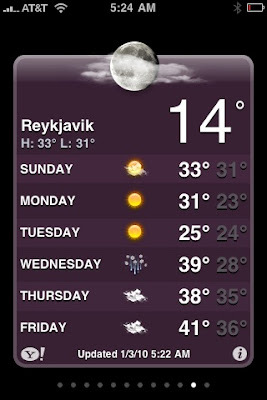 Fargo, North Dakota is normally colder than us. The nice part about the below zero temp is no snow! OMG- that's just not right!! I was complaining abut 19, but I realize now I need to keep my mouth shut! 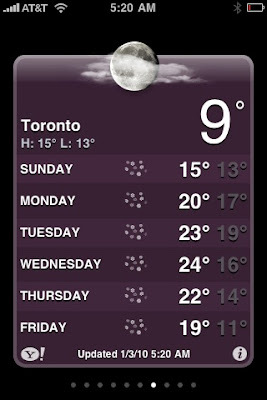 it was - 25C (-14F) a week ago. I live in Minneapolis, and if it makes you feel better, it got warmer...we're having an out of season warm up right now. It's in the 30sF! 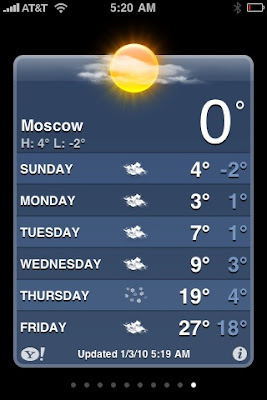 I live in Moscow (Russia). And it is really cold rignt now. It is 25 below zero. I even couldn’t run a car yesterday. 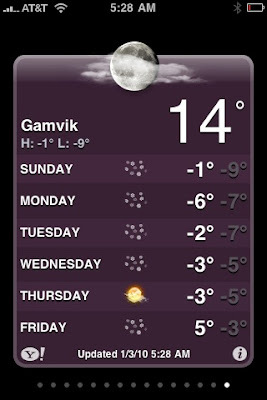 XD im from canada & sometimes it gets to -50 here :)) wow i didnt know it snows in california?